This morning, I am featuring a new science fiction / fantasy novel from Justine Avery in our book spotlight. Check out the book, learn about the author and enter for a chance to win a copy of the book and an Amazon gift card in the book tour giveaway at the end of this post! Only one obstacle stands in his way of enjoying a normal life. He remembers—every life he's lived before. Tres is about to be born... with the biggest burden any has ever had to bear. He is beginning again—as an ageless adult trapped in an infant body. He and his teenage mother face life filled with extraordinary challenges as they strive to protect, nurture, and hide how truly different he is. But Tres alone must solve the greatest mystery of all: who is he? The answer is linked to the one question he's too afraid to ask: why am I? In his quest, Tres discovers that all is considerably more interconnected and dynamic than he could ever imagine—and fraught with far more danger. He cannot hide from the unseen threat stalking him since his birth. Life as he knows it—as all know it—is in peril. And Tres is the only one aware. Justine Avery is an award-winning author of stories large and small for all. Born in the American Midwest and raised all over the world, she is inherently an explorer, duly fascinated by everything around her and excitedly noting the stories that abound all around. As an avid reader of all genres, she weaves her own stories among them all. She has a predilection for writing speculative fiction and story twists and surprises she can’t even predict herself. Avery has either lived in or explored all 50 states of the union, over 36 countries, and all but one continent; she lost count after moving 30-sometimes before the age of 20. She’s intentionally jumped out of airplanes and off the highest bungee jump in New Zealand, scuba dived unintentionally with sharks, designed websites, intranets, and technical manuals, bartered with indigenous Panamanians, welded automobile frames, observed at the Bujinkan Hombu Dojo in Noba, Japan, and masterminded prosperous internet businesses—to name a few adventures. She earned a Bachelor of Arts degree that life has never required, and at age 28, she sold everything she owned and quit corporate life—and her final “job”—to freelance and travel the world as she always dreamed of. And she’s never looked back. Aside from her native English, Avery speaks a bit of Japanese and a bit more Spanish, her accent is an ever-evolving mixture of Midwestern American with notes of the Deep South and indiscriminate British vocabulary and rhythm, and she says “eh”—like the Kiwis, not the Canadians. She currently lives near Los Angeles with her husband, British film director Devon Avery, and their three adopted children: Becks, Sam, and Lia. She writes from wherever her curiosity takes her. Avery loves to connect with fellow readers and creatives, explorers and imaginers, and cordially invites you to say “hello”—or konnichiwa. 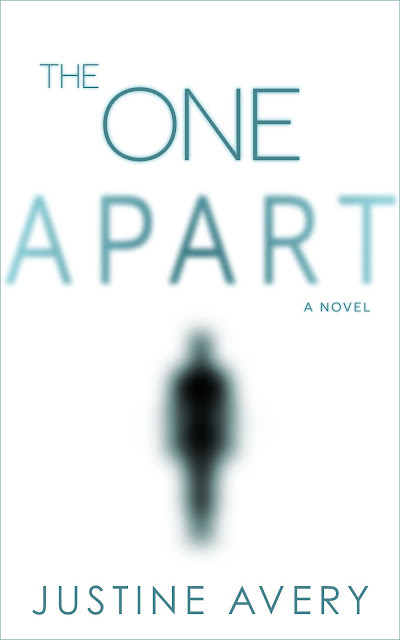 Thank you for hosting The One Apart!